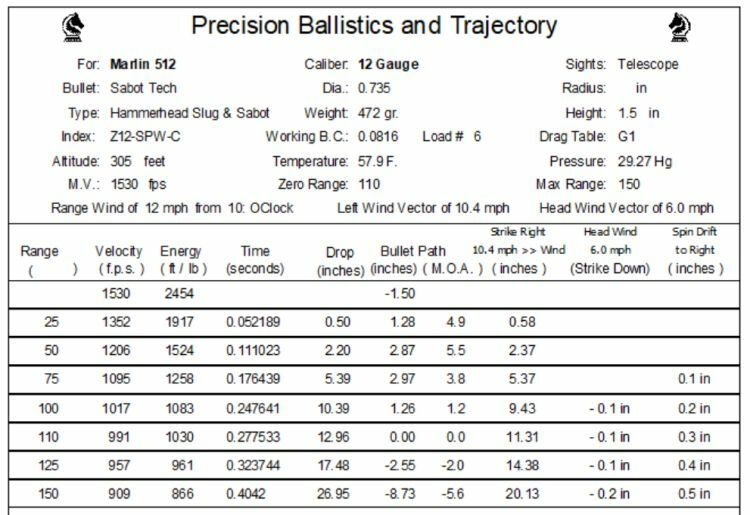 Here are the ballistics for the 37.0-grain load. I need to adjust the POA down, but I didn't because I'm still not satisfied. I consider it MOH (hog), but I'm not done. Well, crap. Monday night late, another evil weather system moving in. That's the pattern, that big bore has to hit that feeder. I'm out in tornadic weather and sure as it's going to rain, a huge boar stomps out of the brush. I'm 75-yards and no way to close the distance, it could be done with a sounder of sows and young hogs, but not a lone boar out in the open. "Boom"
The hog disappears so fast that I think he went straight down in the tall grass. My hound is with me and he makes one small loop of where he was at and takes off to the house to get out of the weather. I think about shooting my dog for the total lack of respect, but in that he is beyond 50-yards, I know I cannot hit him. I need a long break from the slugs, too many rifles that would have dropped the three hogs that have been missed with slugs. Another weather system is due in a couple days. I'm getting my Rem 600 35 Rem ready to ventilate him if I can find him. Yesterday, I emptied all the various loaded hulls I had sitting around. I'm back to no reloads available for the 512. That will make me start over. Here are some notes from the range. Lee slug with a rolled crimp. The wad is the Lightning 078 and with two 20-gauge card wads behind the slug, the top of the petals rest behind the ogive. The roll crimp rests against the ogive providing positive pressure against the component stack. None of the petals survived the trip out the barrel. Very impressive group! Here are Hammerhead blems, reloaded with the MEC Slugger's folded crimp, I've stopped calling it a roll crimp because it isn't (it's better). These were just ugly rounds loaded while adjusting the press. So far the Hammerheads can match the Lightfields at 50-yards but the MOA downrange beyond does not remain consistent as the Lightfield do. I will not go further with the roll tool heads as they waste components. 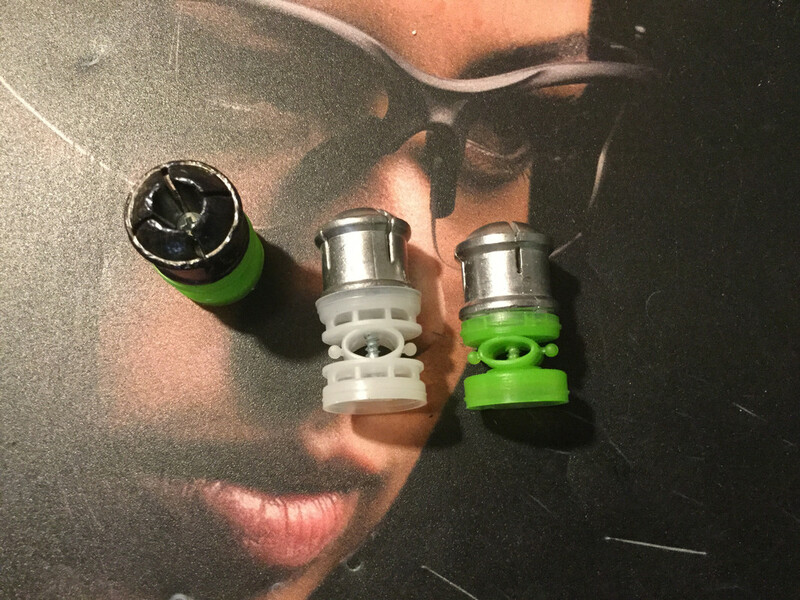 I asked Lightfield about this because they do use a roll crimp and was told that their commercial tools do perform a roll crimp and these simple tools cannot. Last, here is my problem with the roll crimp. I have never had a hull left in reusable condition, NEVER. The top row was formed with at 150 RPM with the STI roll crimper but the brand doesn't matter, I have three different tool heads and they all perform the same. Over on cast bullets, guys like showing their pretty roll crimps, but I've never had one reply to my request for pictures after the shot. Whenever I come back to slugs, I will start over with the Load-All II and its 6-star crimp. 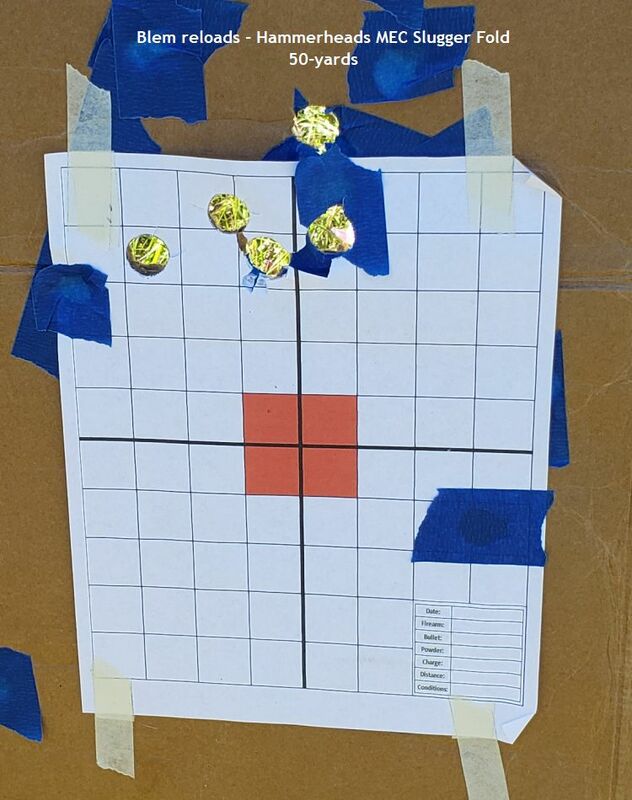 I cannot argue with my reloading records, that is what had delivered the best 100-yard MOA with the Hammerheads. 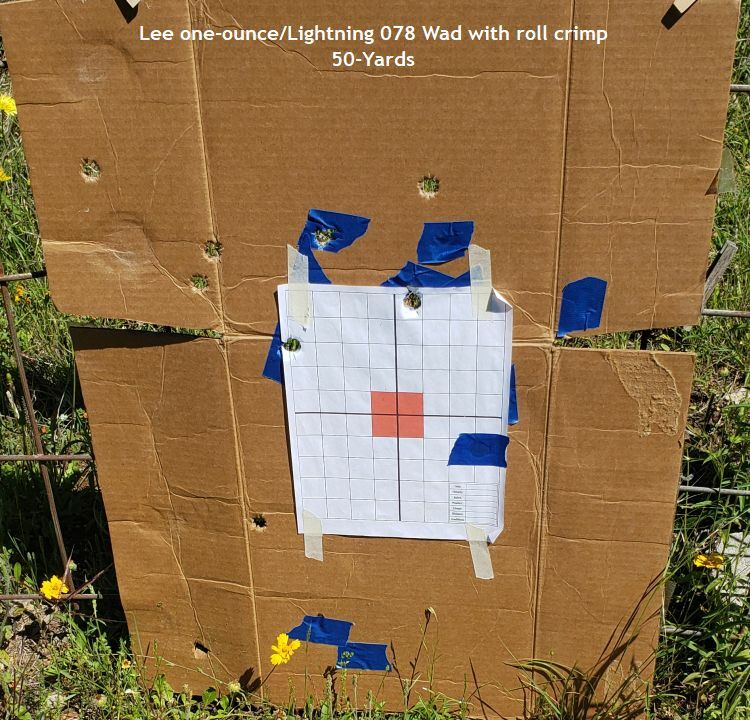 If it cannot deliver 3 MOA at 100-yards, everything will be sold and I will buy what I figure will be a lifetime inventory of the 3" Lightfield (2.5 MOA at 100-yards). I've wasted enough money and time on this endeavor. Ranch Dog wrote: Well, crap. Don’t quit now.. nothing but potential showing.. it has to get better.. doesnt it??? You notice I am not showing any pictures of my roll crimps...lol.. I have it down to a science on 410’s though... reuse them all the time. I have been trying to get around to trying these, but it’s been pouring here, and every chance I get I got to get another truck load of fire wood so it has time to dry out in our rainforest. Yeah, he is a character. RD: I just got back from Front Sight last night, and will load up some STI and other slugs and roll crimp with the BPI tool. It makes a nice taper on the front of the hull to enhance feeding. The only malfunctions I had were caused by Winchester Ammo not having a tapered front on the hulls. In fact most were flared so they were bigger than the OD of the hull. This caused problems unloading the last round from the gun as it would hang up at the end the mag tube If the gun cycled normally it would feed correctly, and this only happened when cycled manually. I only recommend Federal from Walmart over Winchester from Walmart. (same price) This was all Winchester I bought 10 years ago on sale. I shot right at 300 rounds thru the gun 225 shot, 20 bucks and the rest Federal Low Recoil Slugs in the blue hulls. I came home with a bag full of blue hulls because they reload nicely. I also got some Lightfield's and some Brenneke's to test from my A5 Rifled Barrel and Mossberg Rifled barrel. I will post the results of that as well with pictures.